Beyoncé already knows that girls run the world, and they’re definitely running the world of cooking and dining (perhaps with fewer choreographed dance moves). Women are responsible for some of the Bay Area’s most celebrated and highly acclaimed restaurants, but despite Queen Bee’s proclamation, the spotlight doesn’t seem to be chasing women the same way it does male chefs. So let's hear it for the badass ladies of San Francisco's best kitchens. 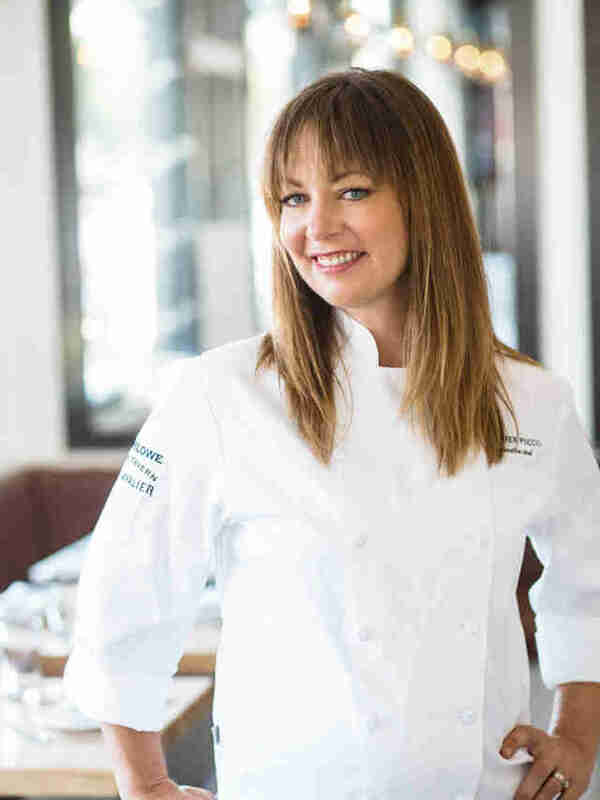 From head chef to wine merchant, we’ve highlighted the top women in Bay Area cuisine. Melissa Perello is one of the few chefs for whom, it seems, everything they touch turns to delicious gold and the proof is in the, er, applewood smoked bacon beignets. 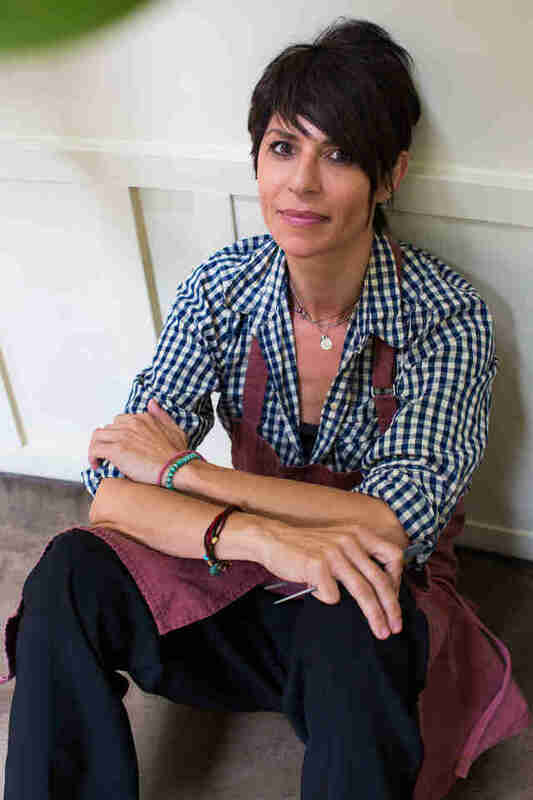 In 2009, Perello opened her now Michelin-starred Frances, which offers a daily rotating menu focused on seasonality and availability. Although she no longer helms Frances, Perello’s latest venture, Octavia, shares Frances' focus on seasonal ingredients. There, Perello showcases her delicate and thoughtful skills in dishes like the deviled egg (fresno chile relish, dolcini egg, marash pepper & spice), which are as tasty as they sound fancy, and rely upon simple, well-thought out flavors. Before opening her own spots, Perello worked as an executive chef at Fifth Floor, which won a Michelin Star when she was at its helm. She's also been nominated three separate times for the James Beard Foundation's Rising Star Chef of the Year award and was named Best New Chef in 2004 by Food & Wine. If Melissa King looks familiar, you probably remember her as a finalist on the 12th season of Top Chef. Well, it’s either that or you may have recently seen her face gracing the hot bars of some NorCal Whole Foods stores, where she’s developed eight different recipes and dishes. Or perhaps you saw her as the celebrity grand marshal of this year’s San Francisco Pride. If you know anything about King, it’s that she’s the queen of all things Bay Area culinary. 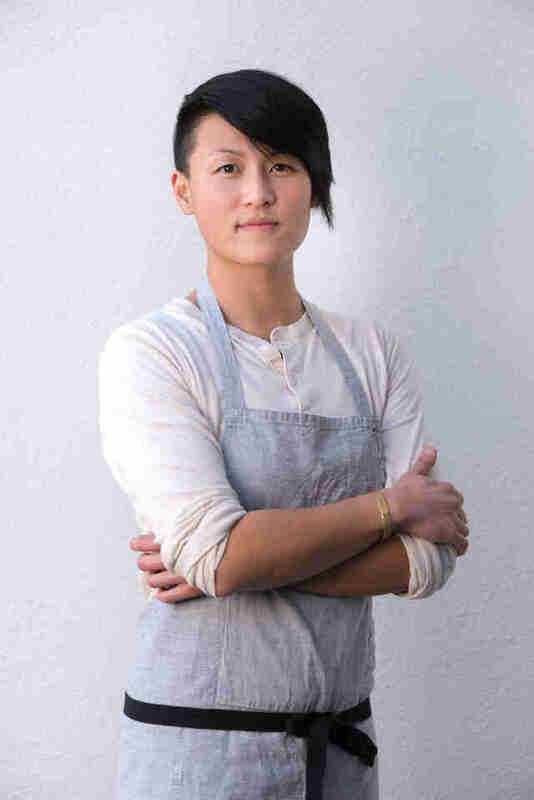 A roaming chef of sorts, King has become a San Francisco fixture, acting as a private chef, consultant, and speaker, as well as leading her own experimental pop-up dinner series called Co+Lab (where if you’re lucky, you’ll also get to spot other Top Chef talent). King occasionally travels to SoCal to host events (it pays to keep an eye on her events page to see when you can catch her), but sometimes goes further for food: one of the chef's most recent projects is working and consulting with Elle Japan to open a cafe in the heart of Tokyo’s bustling fashion district. Before duking it out on Top Chef: Boston, King worked in several Michelin star kitchens alongside chefs Dominique Crenn (more on her later), Craig Stoll, and Ron Siegel. Where there’s a line for pastries, there’s probably Belinda Leong. She made the round, crusty kouign amann cake famous in the U.S., and is responsible for creating a city-wide craving. Leong is behind the immensely popular B. Patisserie -- which has tourists and natives alike spilling out of the doors, waiting to satisfy a craving for Leong’s kouign ammans, croissants, and chocolate chip cookies. 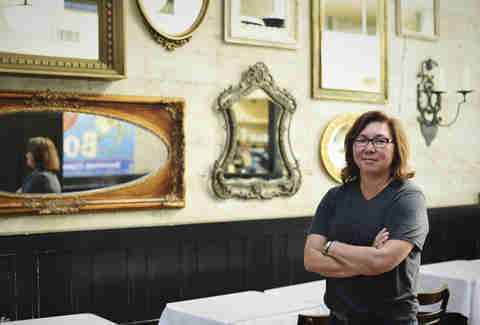 The airy and casual pastry joint is a San Francisco-ized version of the more formal and polished French bakeries that Leong likely frequented while staging in France, honing her craft and growing her love for pastry. Leong was previously named a finalist for outstanding pastry chef by the James Beard Foundation. She got her start in San Francisco working in savory at Gary Danko, but had also cut her teeth working at some of the most pioneering establishments in the world, including Noma, Manresa, and Pierre Herme. Make sure to mark June 20 on your calendars for Kouign Amman Day -- you have Leong to thank for that. 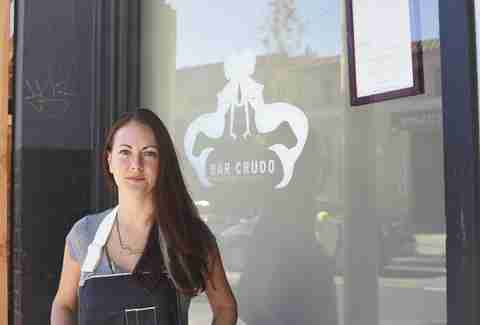 As the head of Alamo Square seafood hotspot Bar Crudo, Melissa Perfit is responsible for many San Franciscans’ addictions to lobster salad and chowder. Originally joining the kitchen straight out of culinary school, Perfit left briefly only to return and revamp Bar Crudo’s menu (don’t worry, the lobster salad and chowder made the cut) to much acclaim. Perfit's path to chef badassery was an unexpected one. She was always fascinated with cinematography, but found that food -- just like a beautifully framed shot -- is more like filmmaking than she expected. One can always expect a dish to not only taste good, but have looks to match, when Perfit is in the kitchen. Brenda Buenviaje’s trio of restaurants -- Brenda's Soul Food, Libby Jane, and Brenda's Meat & Three -- are brunch institutions in San Francisco. From her beignets to her shrimp and grits, to her perfectly seasoned and flaky fried chicken, you'll be hard-pressed to sneak a seat without a lengthy wait, especially on a weekend. The New Orleans native has been candid about the roadblocks that resulted from her gender and ethnic background, both inside the kitchen and out. Buenviaje was bullied for her Creole and Filipino mixed heritage, and literally shut out of kitchens because she’s a woman. Luckily for us, she didn't give up, made her way to San Francisco, and now she and her wife have given the city three different restaurants to enjoy New Orleans fare without actually being there. Like Perfit, Buenviaje, enjoyed a career in the arts before transitioning her creative (and very tasty) juices to cooking. 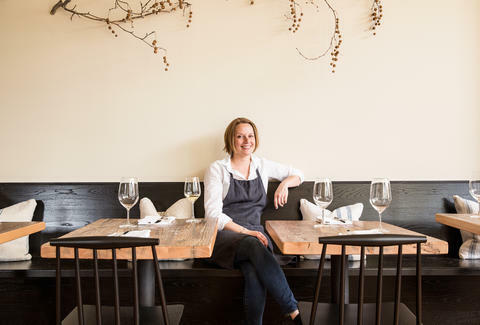 The success of uber-popular State Bird, and more recently, the Progress, is due in no small part to partner and chef Nicole Krasinski. Krasinski leads the pastry programs at both restaurants, which have been lauded for their inventive menus. State Bird serves up their “provisions” in the form of roving dim sum carts, but you would be remiss to not try the apple mochi marzipan cake, with figs, rosemary, and umeboshi syrup, or the cookies n’ cream mousse with roasted strawberries, plums, and tarragon. At the Progress, you’ll be served up a rotating tasting menu of Californian-fusion dishes alongside desserts like the quince floating island, where the pear-like fruit sits atop pomegranate, apple-clove gelatina, and spiced rum yogurt. Alongside her husband and State Bird collaborator Stuart Brioza, Krasinski won the James Beard Foundation’s best chef: west award in 2015. 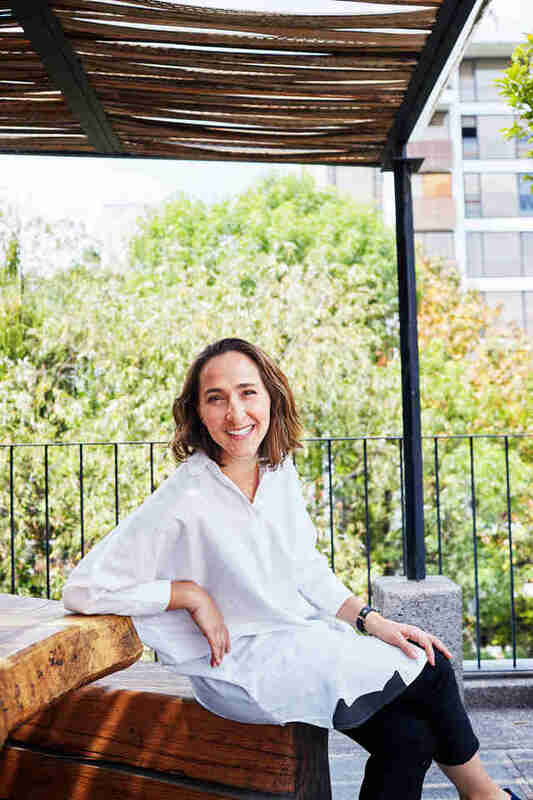 Gabriela Camara has already built a mini-empire of successful restaurants in her native Mexico -- but if the honors and awards she’s earning here in the States is any indication, her empire shows no signs of slowing down. Camara opened her first stateside restaurant (her tenth in total), Cala, late last year and her first foray is a formidable one. Cala landed on Bon Appetit's 50 Best New Restaurants list and Eater's 21 Best New Restaurants in America list. The now very hard to get into Cala focuses on sustainability and seafood, which also has a grab-and-go taco stand. What won't be offered though are burritos, as Camara wants to make a concerted effort to challenge and change people's perception of what Mexican cuisine should taste like. After working with the legendary Mexican cookbook author Diane Kennedy, Camara's success shouldn't be surprising to anyone who knows about her past. The wildly popular Contramar (which Camara opened while studying art history in college) and Merotoro, both in Mexico City where Kennedy and Camara first met, are rave-worthy. Pim Techamuanvivit has thrown herself into -- and succeeded in -- several different facets of the food world. 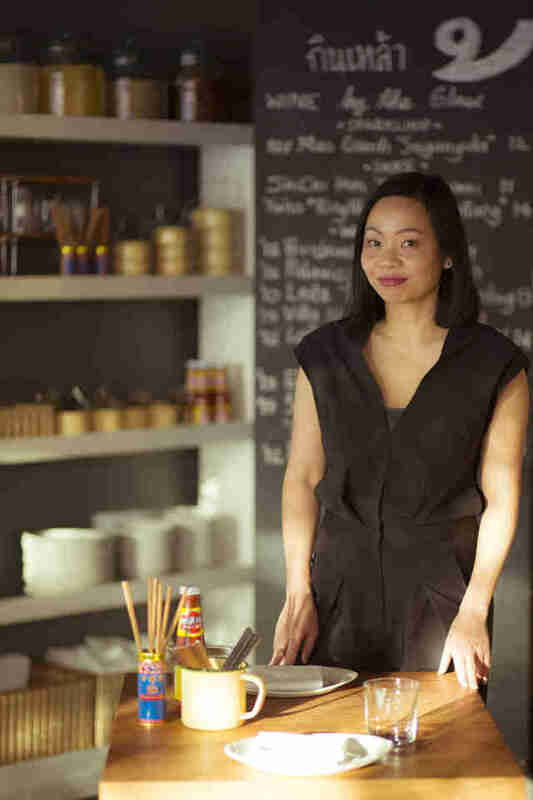 She ran a popular blog called Chez Pim, contributed recipes and photos to big name publication like the New York Times and Food & Wine, crafted award-winning jams, and somehow found time to open her own restaurant, Khin Khao, in 2014. Techamuanvivit doles out unadulterated Thai cuisine -- you’ll be hard pressed to find Pad Thai or Pad See Ew -- at this gem inside the the Parc 55 hotel. Instead, she serves dishes such as Khao Kan Jin, a steamed rice with pork and blood sausage, wrapped in banana leafs, and Plah Pla Muek, a charred squid with a tangy sauce Locals, Thai natives, and world class chefs like Rene Redzepi of Noma have all paid their compliments to Techamuanvivit. Since opening, Kin Khao has ranked among the best places to eat by GQ, the San Francisco Chronicle, and won its first Michelin star this year. Originally from Versaille, France, Crenn is responsible for the two-Michelin starred Atelier Crenn and more recently, Petit Crenn in Hayes Valley. A meal at either of the upscale Crenn restaurants is an intimate experience, with Crenn’s own poems acting as menus. The dishes change regularly and each course corresponds to different lines of Crenn’s poetry. Crenn's story is not only impressive here in the States-- she made history in Jakarta, Indonesia as the first female executive chef in the country, leading the kitchen at the Intercontinental Hotel. It's difficult (and frankly pretty unfair) to choose just one woman to highlight from La Cocina. Since its founding in 2005, La Cocina has helped to create more than 30 businesses, run by hundreds of women who used its rentable kitchen space to grow their operations. The organization also has an incubator program to turn once illegitimate home restaurants and businesses into a stable source of income and a stable career path. Although anyone is welcome to apply to its incubator, La Cocina focuses heavily on female communities of color, inspired by the neighborhood in which it was founded: the Mission. Many success stories have La Cocina to thank, including Azalina's, El Huarache Loco, and Kika's Treats. In fact, without even knowing it, many San Franciscans have probably stumbled upon the restaurants that La Cocina has helped launch, or bought a lot of the products that were once part of the La Cocina incubator. 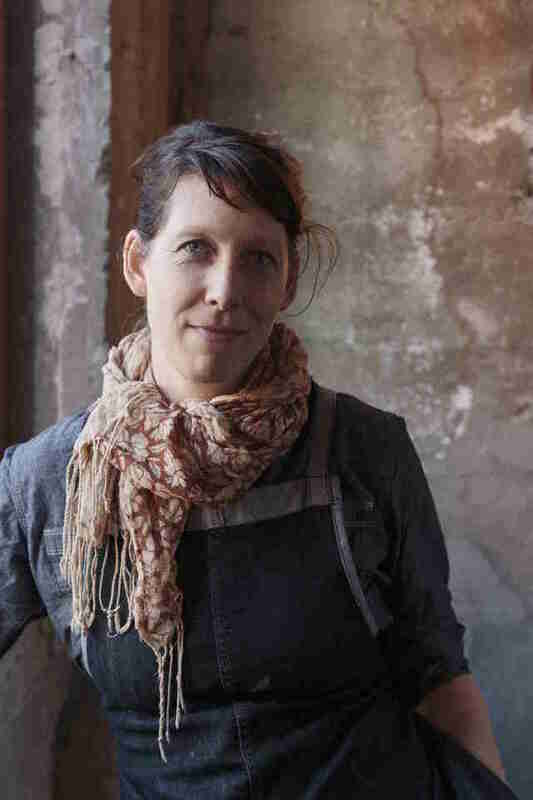 Resistance is futile: Chef Jennifer Puccio will eventually run all of the coolest restaurants in San Francisco. But for now the executive chef for each of Anna Weinberg’s Big Night Group restaurants has to be content with merely helming four (well, five if you count newly opened to the public Marianne’s). Known for taking classic dishes and elevating them to ridiculously delicious levels (her baked oysters, various deviled egg creations, burgers, and poulet “vert” are all so, so glorious), Puccio earned her stars both back on the East Coast working under Cambridge legend Ana Sortun at Oleana. 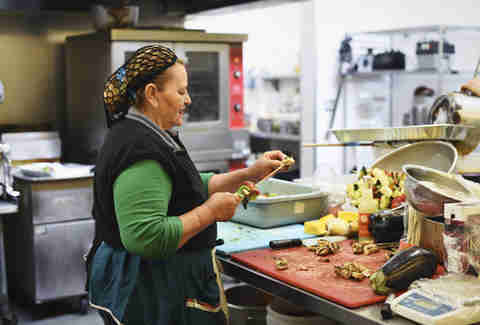 She then moved west to work under Daniel Patterson, and refined her vegetable game at Napa’s famous vegetarian Ubuntu. Currently, she’s mostly found in the kitchen at Leo’s Oyster Bar, complementing the most aesthetically pleasing restaurant in SF with equally handsome dishes like their gorgeous New England lobster roll with cultured uni butter, and a “tater tot” with brandade and tapenade that is only spoken about in awed/hushed tones.